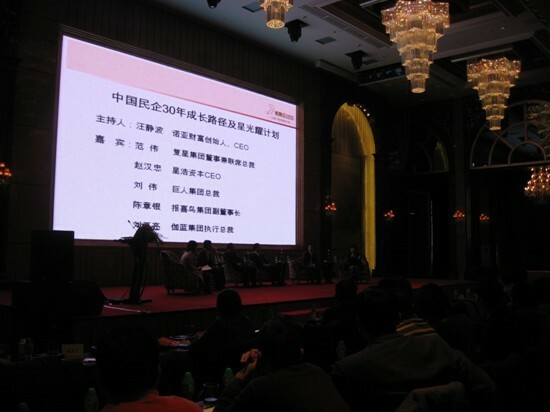 Am 10 o'clock, 11th,October 2011, "star shining plan"---china private enterprise high peek forum was held at the shanghai Pudong Xinghewa hotel international conference centre. Shanghai ZENITH was invited to attend the forum. 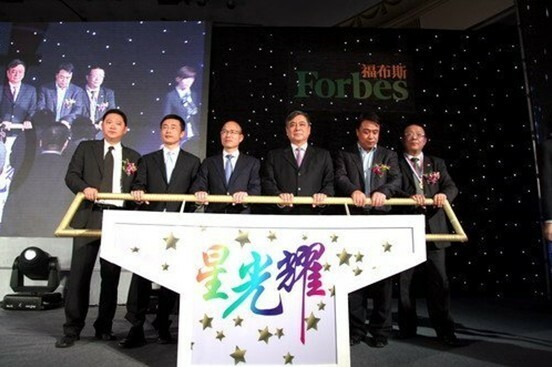 The co-president of Renaissance Group, Fan Wei, Chairman of Habitat Yi (China)，Zhou Yi, president of Giant Group，Liu Wei, chairman of Red Star Macalline Che jianxin, chairman of Garan group Zheng Chun-Ying, CEO of Xing Hao Capital Zhao Hanzhong, Vice Chairman of BAOXINIAO Group Chen silver also attended the meeting. After the closure of the Private enterprises in Shanghai World Expo will be co-Hall, the splendid Chinese private enterprise are intended to build a “a private enterprise pavilion that Will Never Drop the Curtain". The co-president of Renaissance Group, Fan Wei, Chairman of Habitat Yi (China)，Zhou Yi, CEO of Xing Hao Capital Zhao Hanzhong together initiated the "star shining plan" which centering on building the private enterprise group. On the forum, Fanwei and Zhouxin delivered key-note speeches. The attended enterpriser discussed about the future of chine private enterprise, they all hold the opinion that trust and cooperate is the direction and theme of the Chinese private enterprise development. Private enterprises should work together to enhance the business environment in China and the cultural environment of trust index and output, work together, grow together, and forces to do more.